There are so many good hotels in Bangkok to stay. So why Holiday Inn Express? Well, for this trip with the girls, we wanted to stay at a place that's a pretty much a steal, yet, in a comfortable and clean four-star hotel. Initially we planned to stay at an apartment, since there are four of us. But apartment locations wasn't that ideal. Then someone suggested the newly opened Holiday Inn Express. Location was great - just a few steps away from the National Stadium BTS, which is centrally located. 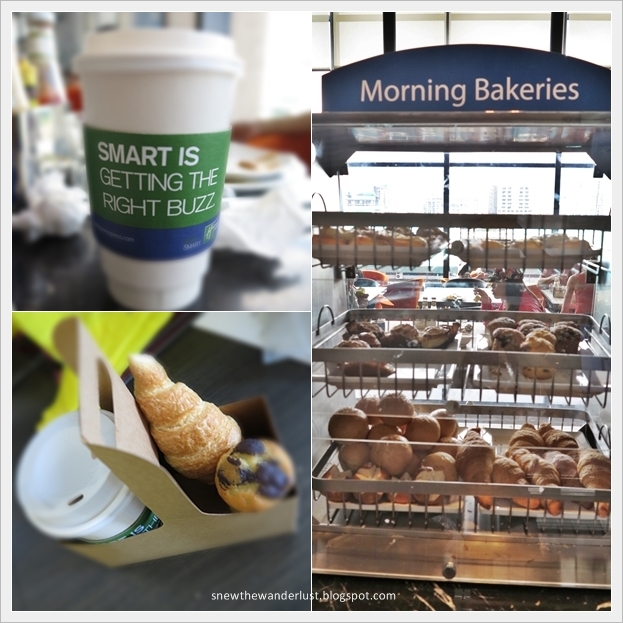 For a reputable brand, yet a no-frills hotel - Holiday Inn Express, we got the rate of less than S$100 per room per night including breakfast. To me, it's value-for money, and such deals I can only find in Bangkok. There is no porter at the doorstep to handle your luggage. Help yourself to the trolleys. Sometimes the security will double up to assist. But usually, the front office staff are helpful to help us with directions or to call a cab. The lobby area, pretty cosy, with an Internet corner that serves as a mini-business centre. The room is cosy and good size. For me, I don't really need a very spacious room. What is impressive is that the room is new and clean. I couldn't ask for more in this newly-open hotel. You be surprise that for a no-frills hotel, the hotel take pains to provide the best comfort for its guests. 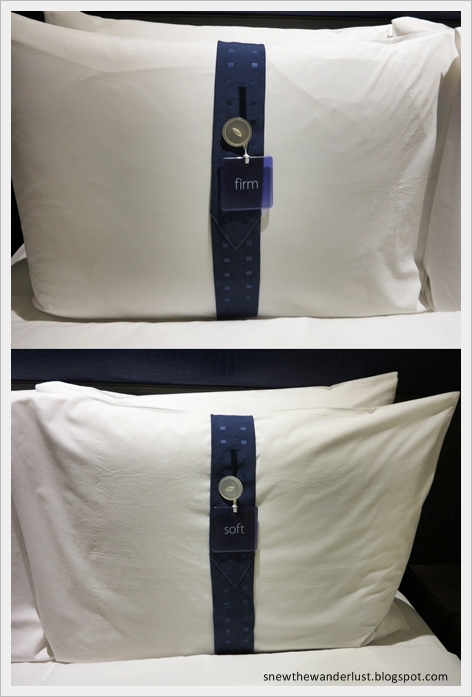 Guests can choose between Soft or Firm for the pillow density. Just call the housekeeping on which you would prefer and they will send it to your room. I wasn't expecting much of the breakfast, but I was wrong. Breakfast is a pretty decent, but of course, don't expect a five-star buffet spread. Asian spread includes fried noodles and porridge. Western spread, you can expect the usual cereals, bacon, ham, sausages and eggs. Fresh juice, milk and different type of bread roll were available too. An added touch that I was really impressed was the availability of takeaway. If you are in a rush, you can pack your coffee, together with some morning bakeries - bread roll, croissants or muffin in a takeaway package. MBK is a short walking distance away from the hotel, but MBK seems pretty much a shopping mall that is passe. The Ajumma in us prefer to check out the Tesco Mega-mart that is just 5 minutes away from the hotel. We bought not only food stuff that is found only in Thailand, but also toiletries and pharmaceutical products that is cheaper in Bangkok. On our way there, we pass-by a local street market, just next to Tesco and took a peep at it. 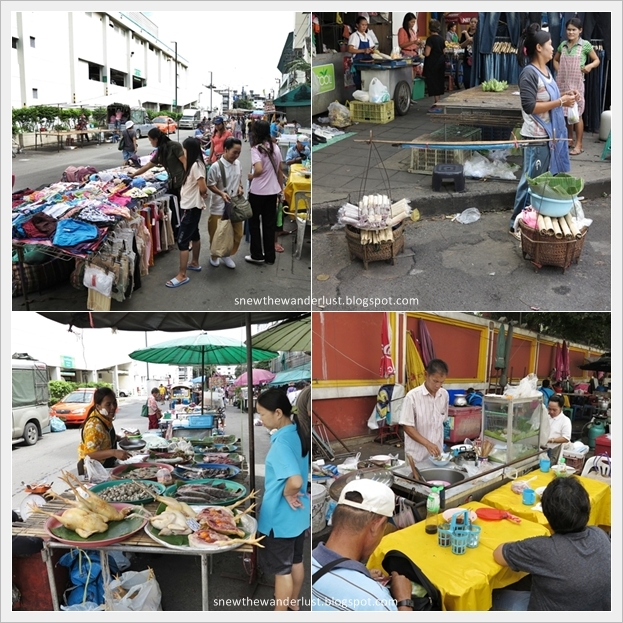 Streets stalls are set up for the morning market. Look carefully at the next few pictures. Yes, it's insects on the top left hand picture. 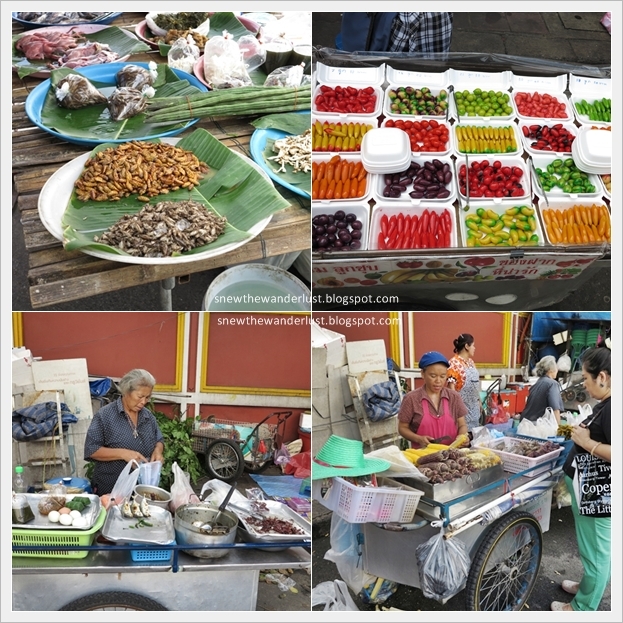 I thought only Thais in Central Vietnam eat such stuff, I was really shocked when I saw this in the street market. And I must apologise for putting it together with my favourite - Luk Chup (right photo on the first row). Luk Chup is a popular Thai dessert, made of mung-bean flour with natural colouring, shaped in various fruits and vegetables. It's really nice, except for the fact that we found some arts attacking the desserts! Look at the smiles of the parents of the Thai children. Not sure if you agree with me, but I do think that they have a more memorable childhood than kids in Singapore these days. Do you see kids playing in supermarket trolleys nowadays? Hardly. I am all hands up in recommending this hotel. The only little hiccup in service is that we wanted to borrow a knife to cut some fruits, on one of the nights. For safety reasons, I do understand that most hotels do not have the policy allowing a knife to be on loan for guests. Most would ask the guests to send the food that they want to cut to their F&B guys to do it. The front office staff asked us to go to the breakfast area to try our luck, but the place was already closed at night. There was a restaurant at the first level, but the staff refused to help us with it. So... no luck for us that night. Nevertheless, it's a good hotel, in a great location. I will return to stay at the hotel, anytime.